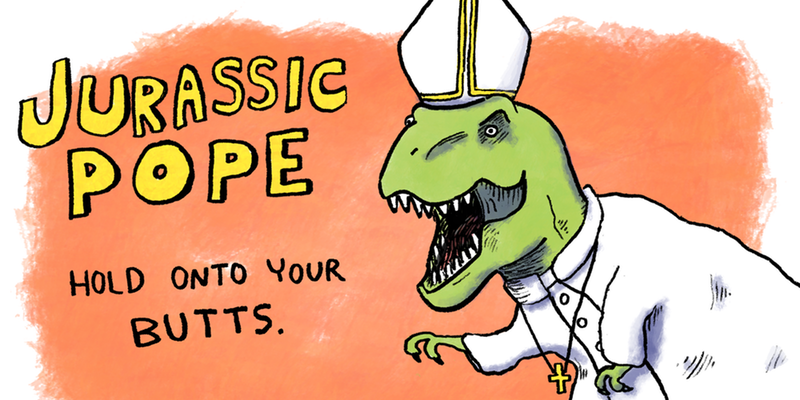 Jurassic Pope serves up big questions as old as Pangea! Brace yourself to watch characters pursue their wildest desires and confront their deepest fears in a fully-improvised, completely-weird world that is equal parts bizarre, honest, and funny. Rated PG-37 for existential dilemmas and language.